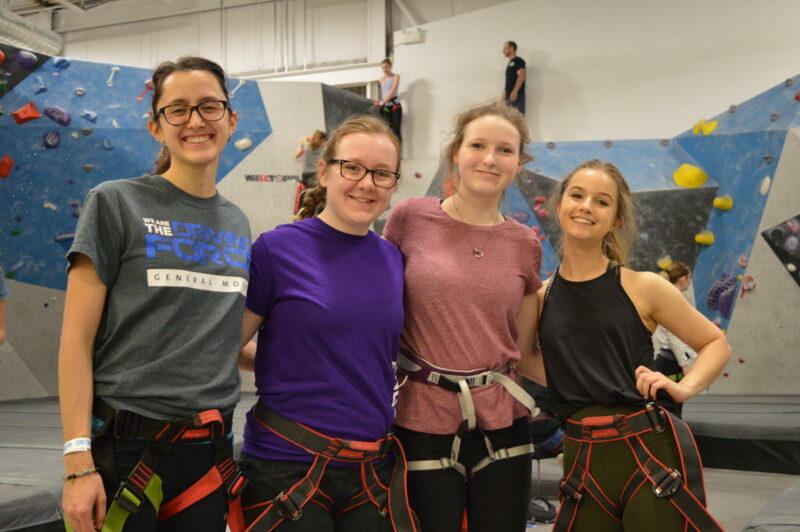 Mentors and High school girls pose for a photo during a outing to a rock climbing gym. Finishing high school and trying to figure out what you want to do with your future can be a scary task. It may be that you already know what you want to do so the decision is easy, maybe you have a parent who is an engineer and inspires you, or maybe you have had some exposure to a STEM field and found the combination of creativity and innovation in engineering was right for you. However, for many young women this isn’t always the case. That is why universities around Ontario create programs and events to give young women the opportunity to explore the wonderful world of engineering. Western Engineering’s “ENGSquad” is one such program. 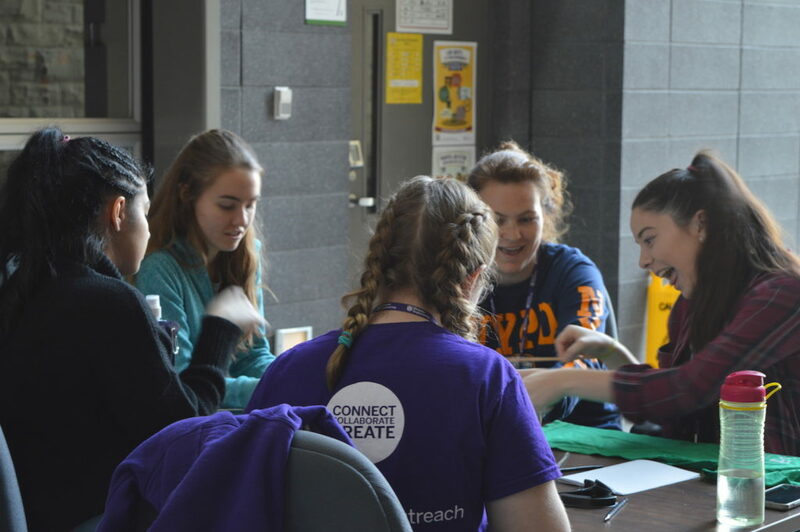 ENGSquad matches female high school students in Grades 9-12 with mentors who are female undergraduate engineering students at Western University. Over the course of a weekend girls will get to take part in engineering activities to explore how to achieve creative solutions, visit engineering workplaces to see what can be achieved with a career in engineering, and even have a taste of what it is like to attend a university when they stay overnight in a residence. High school girls work in teams to come up creative solutions to a given challenge. Both engineering and university can be daunting experiences, but that is why Universities across Ontario are working together to ensure that neither obstacle is too high to overcome. For more about the ENGSquad mentorship program, visit Western Engineering’s website.